Start off your visit on the 27th (Sat): identify plant and animal life at Kiutakongas Rapids, stop by Riipisen Wild Game and Souvenier Shop, and then see exotic creatures in open habitats at a safari tour. For more things to do, where to stay, photos, and other tourist information, you can read our Juuma travel website . London, UK to Juuma is an approximately 14-hour flight. You can also drive. You'll lose 2 hours traveling from London to Juuma due to the time zone difference. While traveling from London, expect much colder days and little chillier nights in Juuma, ranging from highs of 3°C to lows of -1°C. Wrap up your sightseeing on the 27th (Sat) early enough to travel to Oulu. Oulu is a city and municipality of inhabitants in the region of Northern Ostrobothnia, Finland. 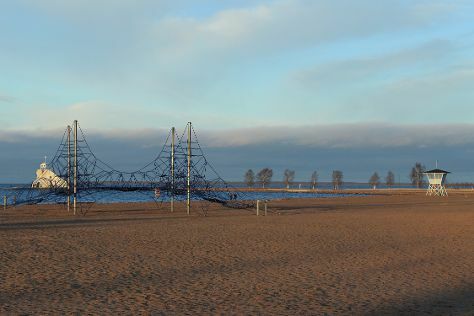 On the 28th (Sun), stroll through Ainolan Puisto and then stroll through Nallikari Beach. To find where to stay, maps, reviews, and tourist information, go to the Oulu journey planning website . Getting from Juuma to Oulu by car takes about 3.5 hours. In October in Oulu, expect temperatures between 6°C during the day and 0°C at night. Finish up your sightseeing early on the 28th (Sun) so you can travel back home.